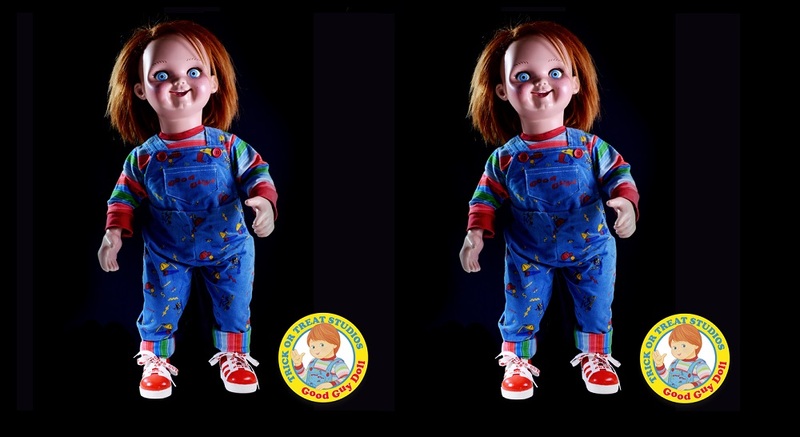 The Officially Licensed One-To-One Scale Child’s Play 2 Chucky Doll is the most screen accurate Child’s Play Product ever produced. 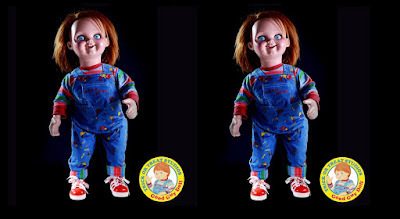 Every detail of this doll is made from actual screen used molds, including the clothing which was replicated using actual screen used swatches. The body of the doll has a wire frame surrounded by a soft flexible foam to allow you to pose your doll anyway you’d like. For $500 the Wanna Play Pledge gets you the Officially Licensed One-to-One Scale Good Guys Chucky Doll and All Unlocked Stretch Goals. For $700 the Friends to the End Pledge gets you the Officially Licensed One-to-One Scale Good Guys Chucky Doll, All Unlocked Stretch Goals and a Kickstarter Exclusive Certificate signed by the voice of Chucky, Brad Dourif, Trick or Treat Studios VP of Art Direction, Justin Mabry and Trick or Treat Studios President, Chris Zephro. The Friends to the End Pledge is limited to 50, so act fast! The estimated delivery date is December 2018, but keep in mind this is only an estimate. Also, due to the logistics of shipping, backers in different States within the USA and Canada may receive their pledges sooner than others.